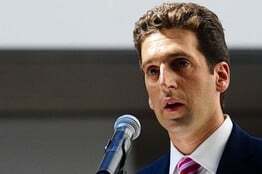 Ben Lawsky, the current Superintendent of the New York Department of Financial Services (NYDFS) held a press conference today, in which he outlined and clarified some of the information that will be in the second draft of the highly controversial BitLicense Bitcoin regulation. Lawsky specifically stated that the proposed Bitcoin regulation would not apply to individuals, merchants, or developers. Additionally, the superintendent noted that the revised BitLicense is much less restrictive than the original draft. I think the updated BitLicense proposal is on the right track by (1) carving out additional participants who would not be affected, (2) making provisions for capital reserves to be held in virtual currencies since that type of working capital is essential for many business models and (3) providing the two-year startup partial exemption. However, I am not sure New York playing catch up will provide the fertile regulatory climate needed to retain and attract Bitcoin related startups. GAW Miners, a Bitcoin mining company that has recently been the focus of much criticism, has launched an altcoin called Paycoin. The launch began over the weekend, but it is now starting to cause a wave of speculative activity in regards to mining rig rental prices. During the initial launch, paycoins traded at approximately $26 per coin, but have since fallen down to around $6. However, GAW Miners has promised to keep the price of Paycoin in the $20 range, so we should expect the company to start supporting the coins price. Despite the controversy, paycoin attracted a lot of attention from miners after being listed on popular mining profitability service CoinWarz. Several websites that connect rig owners with potential renters saw a rapid price increase over the weekend owing to the high debut price of paycoin on several altcoin exchanges, with rental prices reaching as much as 0.15 BTC per terahash for a 24 hour-long session earlier this week. Section 1 – What is Bitcoin? 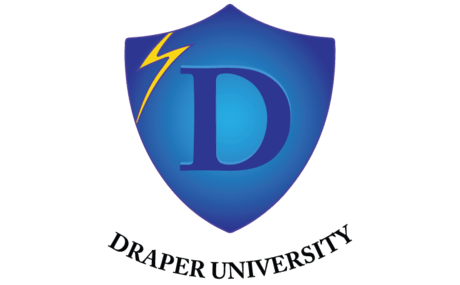 Since announcing the launch, the Draper University has enrolled over 2000 students into its Bitcoin course. The course consists of traditional lectures and interviews with prominent members of the Bitcoin community. Yesterday, December 17, 2014, ChangeTip suffered a wave of online criticism from within the Bitcoin community. ChangeTip is a company that provides a Bitcoin tipping services to various websites. Various people in the Bitcoin community criticized the centralized structure of ChangeTip, and claimed that the company was a large weak spot in the community, because it could sell the data of its users to governments or private companies. Selling private data would compromise the pseudonymity that Bitcoin users are able to enjoy. Today, Nick Sullivan, the CEO of ChangeTip, assured users that the company would not sell their data to anyone. Is Bitcoin Mining Worth It? Dummy-proof explainer videos enjoyed by over 100,000 students. One email a day for 7 days, short and educational, guaranteed. We hate spam as much as you do. You can unsubscribe with one click. GET STARTED WITH BITCOIN TODAY!